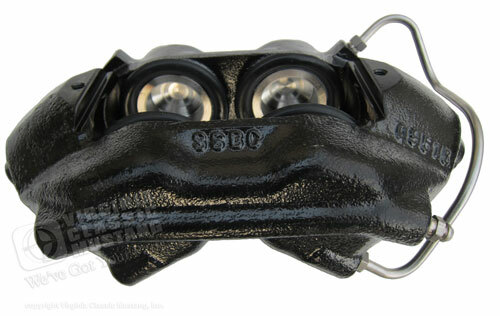 This is a brand new Front Disc Brake Caliper for your 1965-67 Mustang. Do not confuse these calipers with the cheaper import versions! Left front 4-piston caliper with 7/16 in. inlet. Built with stainless steel pistons, bleeders and transfer tubes.